We love the way the hidden graphics inside this handmade silk lampshade spring to life at the touch of a switch. 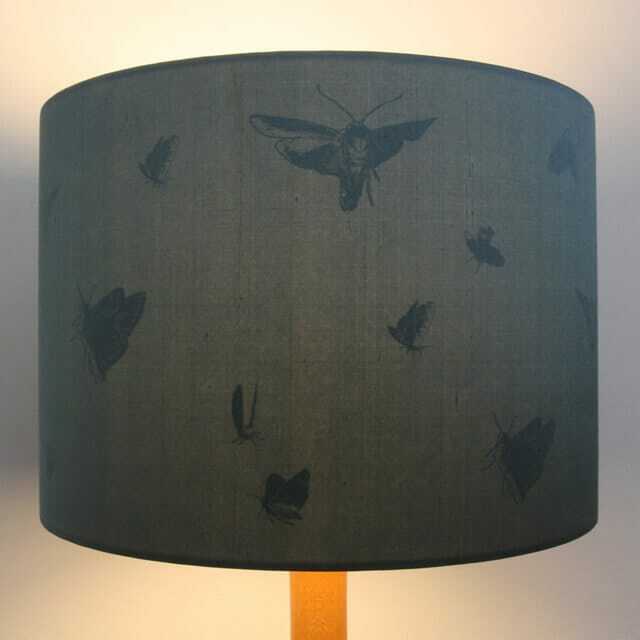 The stylish exterior of the shade is covered in subtly textured fine silk, whilst the inside layer conceals secret moth designs that are only visible once the bulb inside is switched on. 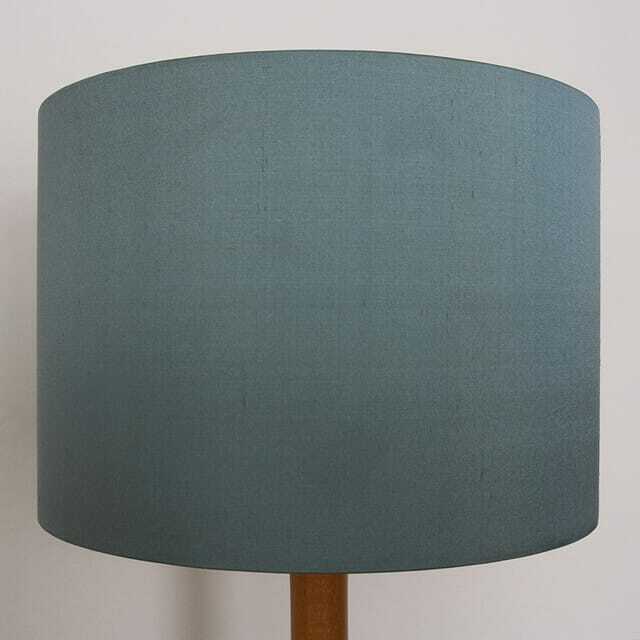 Available in two sizes, a regular 30cm diameter and a large 40cm diameter, this handcrafted shade is finished in ‘Ether’ blue-grey silk with a rolled edge and fitted with a lamp holder ring that enables the shade to attach to any table or standard lamp. Fine Indian Douppion silk in ‘Ether’ and graphic interlayer laminated onto PVC backing (complies with BS EN 60598-1-2008) and rolled onto a white painted heavyweight wire frame.